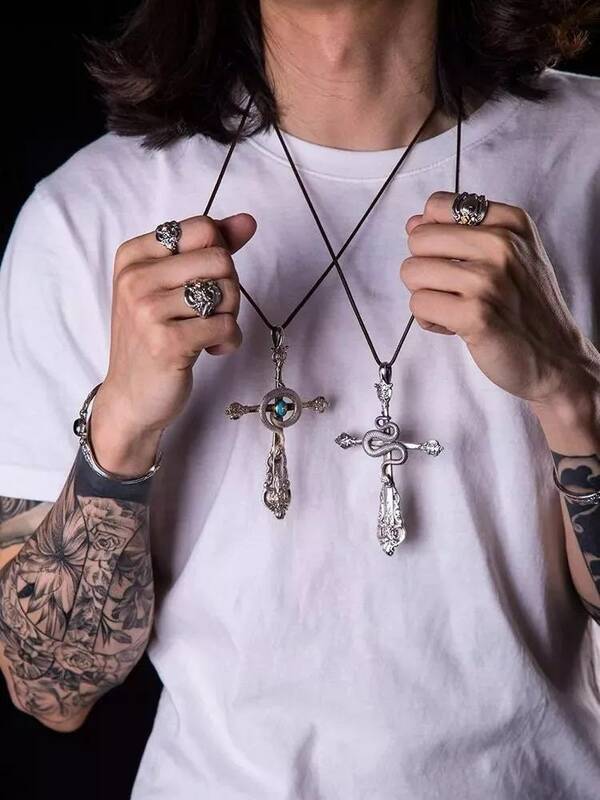 The silver spoon pendant is a part of our new silverware jewelry collection. 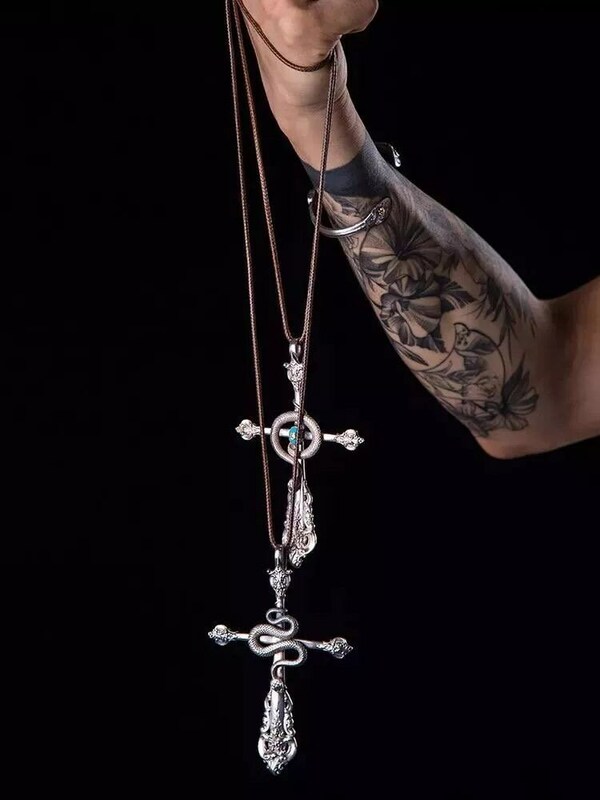 Our European classic luxury series is inspired by silver tableware design that you would find in old European palaces. 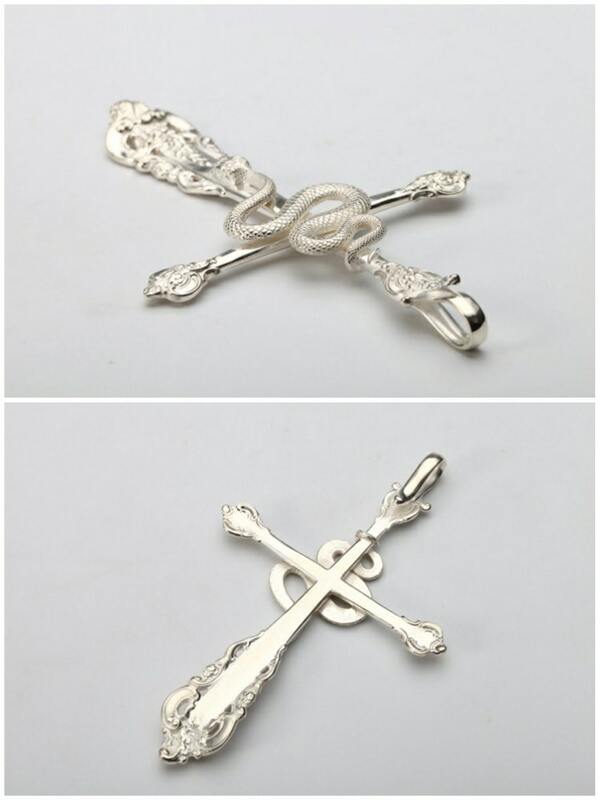 Over-the-top decadence, rich design, and an intricate engraved pattern are the hallmarks of this silver spoon pendant. 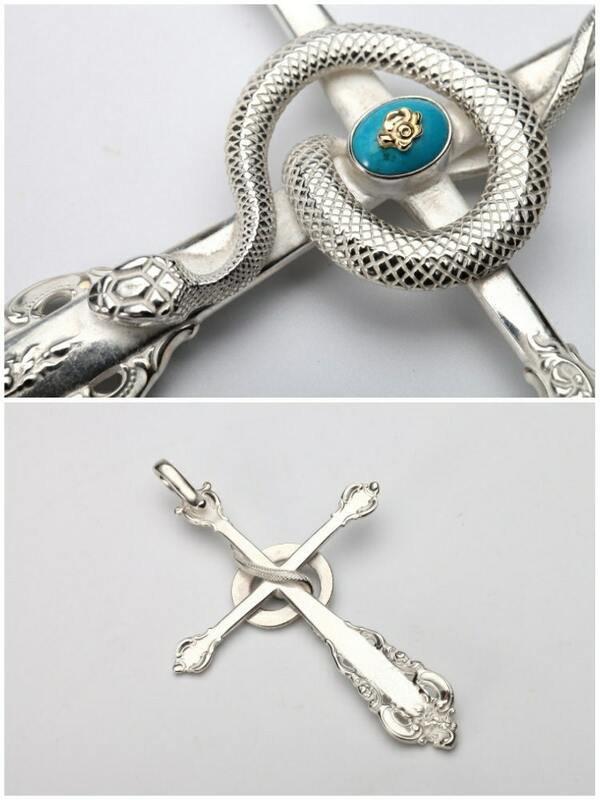 A finely crafted viper snake - the most poisonous of snakes - is also a part of the pendant. 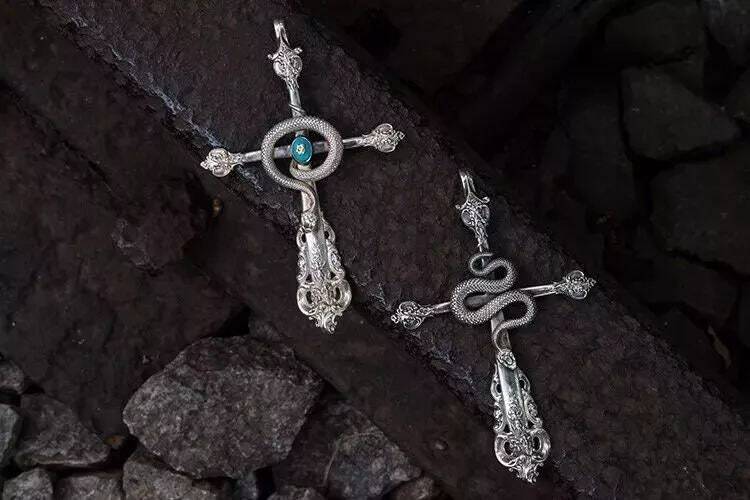 The slithery snake adds an element of Gothic charm to the pendant - and goes well with the Victorian design of the piece. 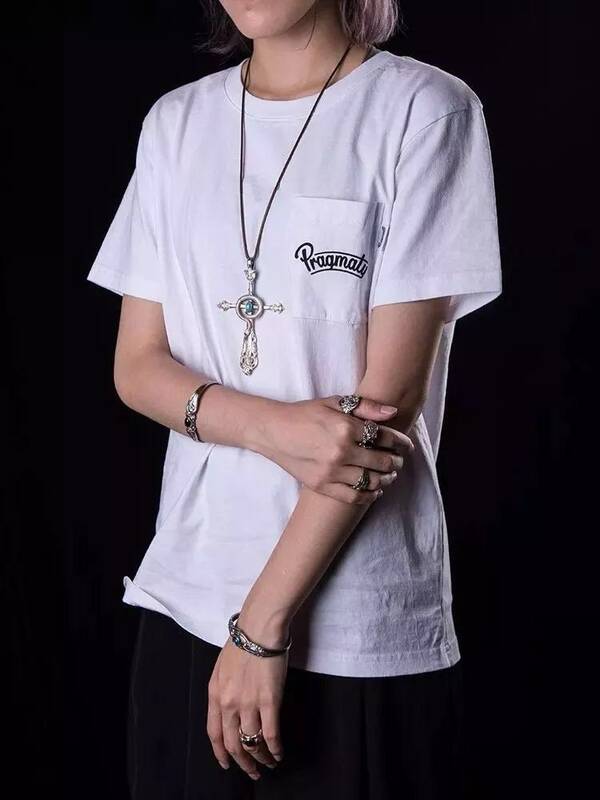 Just notice the excellent details on the silver snake - if you pass your fingers on the snake, you can just feel its cold, rough scales. 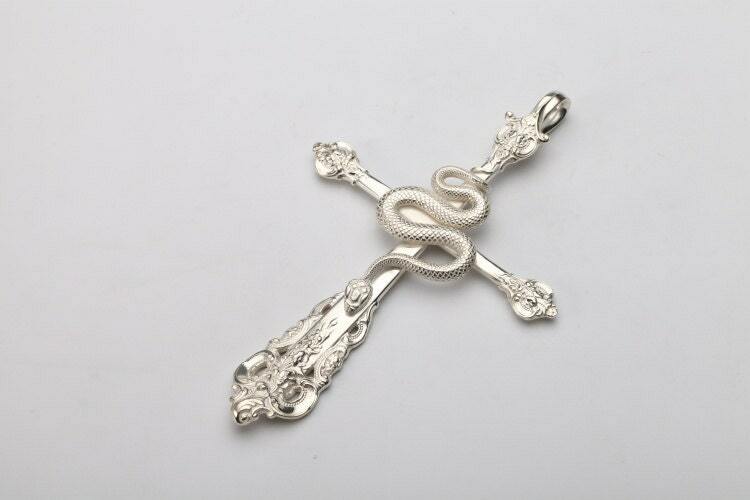 Design A: Plain silver cross with silver snake. 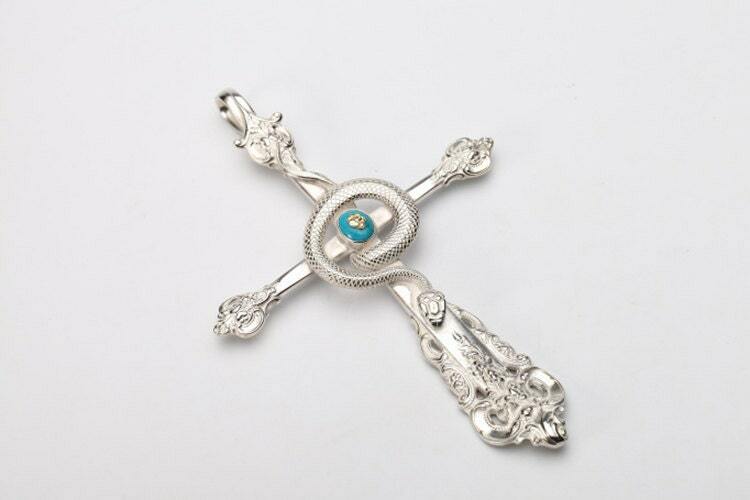 Design B: Silver cross, snake, a turquoise gemstone inlaid with a tiny 18K gold rose. 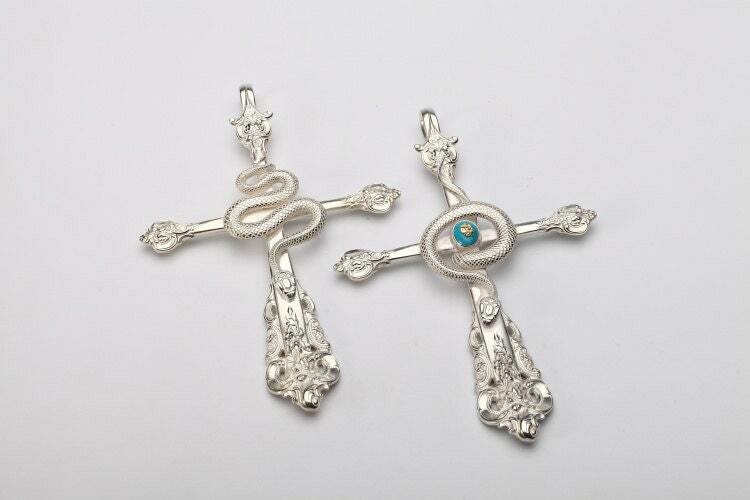 Please note that the snake pendant is quite large - in fact, it is the LARGEST pendant that we sell. Read the measurements to have an idea.